Salads come in so many different varieties these days. 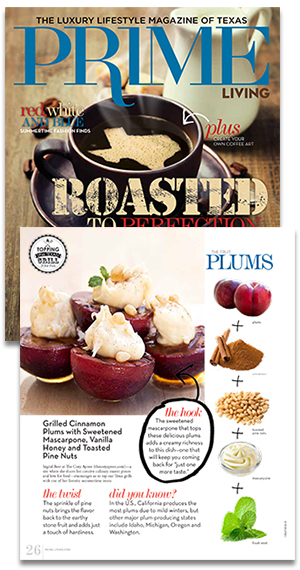 All you have to do is browse the cold, prepared food section of your local health food store to see the gorgeously textured and rich offerings provided there. No longer are salads thought of solely as leafy greens topped with some dressing and the token cherry tomato and cucumber slice; these days, they are becoming more sophisticated, and what is being considered a “salad” continues to evolve. Modern salads are hearty and packed with textures and flavors. They often contain different types of whole grains, nuts, proteins, herbs and spices, and provide us with new choices that are far more interesting. 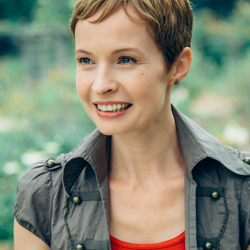 As we become increasingly conscious of our health and what we put into our bodies, we’re continually looking for creative, new ways to implement some of the better options that are more readily available to us now, without sacrificing the pleasure of eating utterly delicious food. Really, it’s quite simple: anything goes. All that is needed is a dash of inspiration and a pinch of creativity. 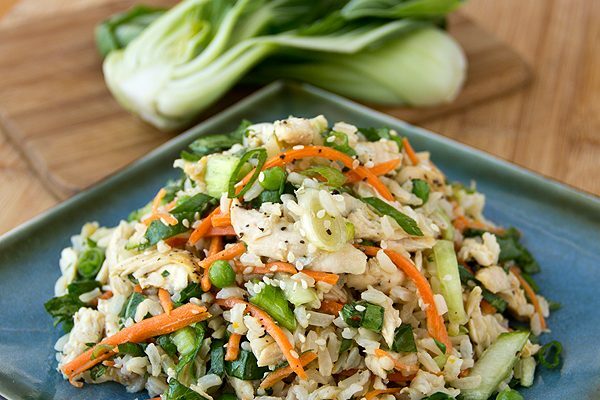 Inspired by the flavors of Chicken Fried Rice, I began making this Asian-Style Brown Rice Salad every once in a while for my clients to enjoy straight out of the fridge on those days that I wasn’t there to cook for them. 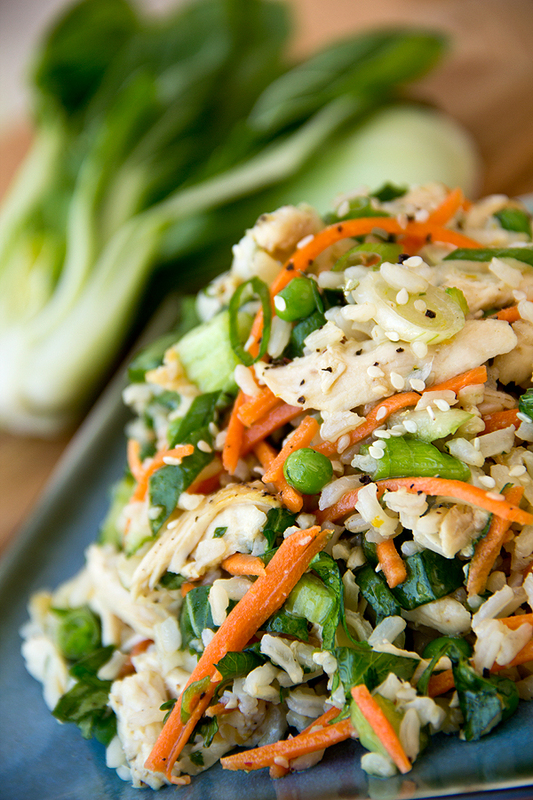 Tossed with the delicious, savory flavors of sesame and soy; with fresh, crisp veggies for crunch; and shredded chicken for protein, it’s a good example of the modern salad. And when salad is as healthy, hearty and delicious as this, it’s hard not to love it. 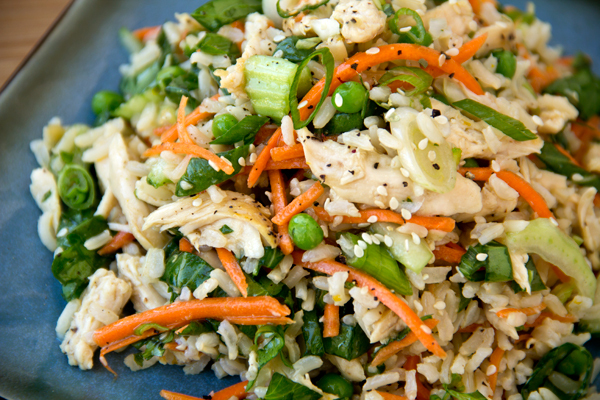 -In a large bowl, add the brown rice and all of the ingredients through the chopped green onions; toss gently to incorporate, then drizzle in the Orange Sesame-Soy Dressing, and toss again to coat all ingredients; check the seasoning and adjust if necessary; serve immediately or keep refrigerated until ready to serve, and garnish each serving with a sprinkle of the sesame seeds. -In a small bowl, whisk together all ingredients until well combined. What a scrumptious salad to take to work! I made this tonight and it was SO GREAT! I left out the peas, added a bit of sriracha to the dressing and subbed sauteed kale for the bok choy (because that’s what I had around). I’m thinking that I need to add some chopped peanuts to the top, too. So delicious—will definitely be in the lunch rotation! I love adding spiciness to dishes like this too, Laura – thanks for sharing. Made this tonight and LOVED it. Amazing. A new favorite dish for me. Hi Myia, so happy you enjoyed it! This looks SO good! I can’t wait to make this next week. Thank you for the recipe! I made this yesterday and it was so good! Thank you! Jess, glad you enjoyed it! Every week I choose a new salad to make on Monday, and enjoy for lunch for the week. I made this one a few weeks ago, and have been craving it ever since, so I whipped up another batch. The first time I only had edamame on hand, so I subbed that for the peas, and it worked just fine! I love recipes like this, with a little flexibility…and the sriracha idea above sounds like a fun twist too! Thank you! Can’t wait to try more of your recipes! Three what? 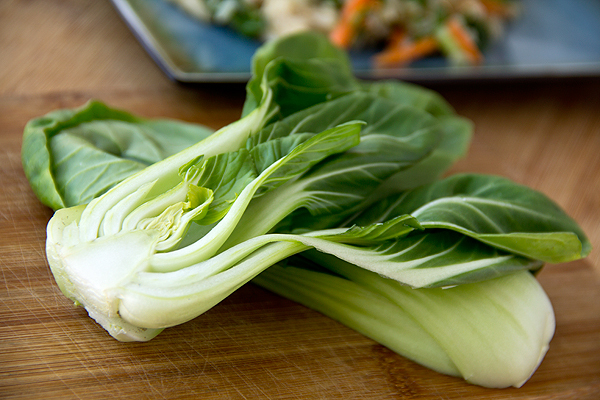 On the bok choy? What’s the measurement unit, please. Thx!! Hi Maryjo, it’s 3 whole, baby bok choy, then you slice them. They typically have them loose in the produce section, so 3 pieces. Hope that helps! I’m confused… Is it 4 cups of cooked brown rice or 4 cups of dry rice that I then cook? Thanks! Hi Jamie, it’s 4 cups of cooked rice. Sorry about any confusion—hope you enjoy! I have been making your recipe for three+ years now. It’s one of my staples for any event. And everyone raves about it. Thank you! Making it again this Monday for a potluck. So delicious! Daniella, I’m grateful you shared that with me! I’m thrilled you’ve been enjoying this recipe all this time, & that you’ve shared it with others ❤. 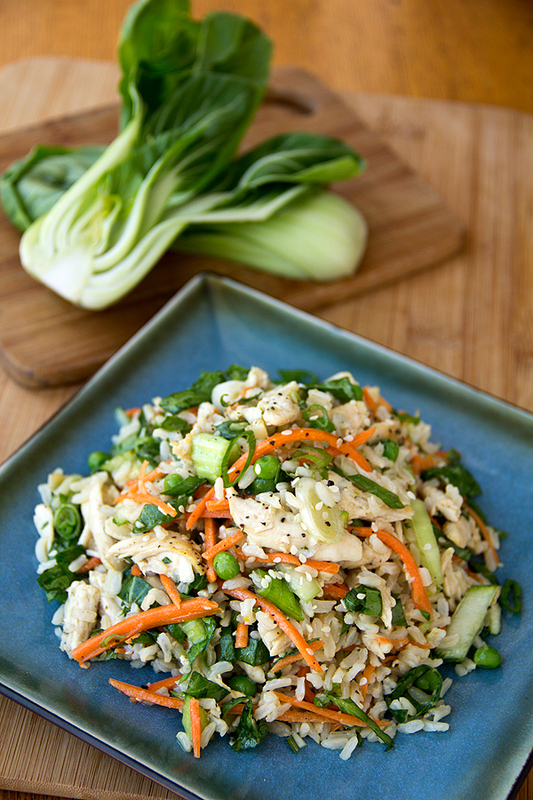 This salad is absolutely yummy and satisfying for a quick meal. I left out the chicken, this way I can customize it each day. First day, had it with shrimp, the possibilities are endless. Hi Christine, glad you enjoyed! I love your idea of changing up what you add into it—the shrimp sounds perfect!